Happy 4th of July friends! Day 4 of our 31 Days of Kindergarten is all about Music and Movement in the Classroom. I love music and believe that no matter what language you speak or your ethnic background, music is the great equalizer. I found this to be so true in my own classroom, especially with second language learners. Students may not know the words, but they ‘feel’ the music and can join right in with the movement and/or dancing. I love to use music and movement every day. Kids love to dance and sing and have an opportunity to use those gross motor muscles! I started off using CDs in my classroom, but have moved on to DVDs and videos. My kinders love to see the actions or dancers, as they play on the screen. I have had teachers tell me that they feel uncomfortable using music, because they ‘can’t’ sing. 🙁 This makes me sad. Kids don’t care if you are off key, sing the high notes, or miss the low notes…kindergartners are the most forgiving and embracing students in the whole school! Your students will just love that you are singing and dancing with them and those memories will far exceed your insecurity and embarrassment! 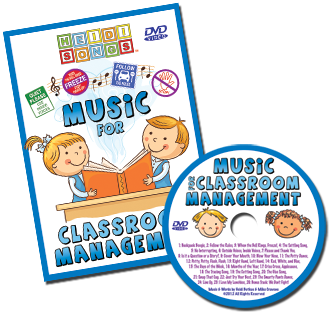 I am going to share the main music and movement songs and dances I personally use in my classroom! I found out about Heidisongs the first year that I began teaching kindergarten. At first I only had one cd, but my kids loved the catchy tunes. So I determined to buy as many of the dvds that I could afford, so my kids could participate in Music and Movement in the classroom, but still have an academic component. 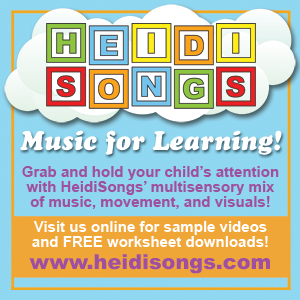 HeidiSongs are multi-sensory CDs/DVDs that are Kindergarten classroom and student tested. 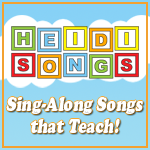 HeidiSongs help students learn number and letter identification, shapes, sight words and more. This is done by combining music with physical actions to which children respond well to. Here is a great example of what HeidiSongs has to offer. And just like I use anchor charts as a foundation for teaching and learning, I always try to include a song to go along with the intended lesson. I used HeidiSongs every day last school year and 15 out of 19 students met the minimum requirement for our district’s sight words! I attribute much of their success to using HeidiSongs every day! There are many different HeidiSongs available on YouTube, but not the majority. I promise that the investment of these DVDs are well worth it and you will for sure see a return on your investment! Another favorite channel in my classroom is Have Fun Teaching! I use it strictly from YouTube and have found the songs to be fun and engaging for my students. Have Fun Teaching offers an upbeat way to teach phonics and the alphabet. Have Fun Teaching offers worksheets, activities, songs, videos and more to help teach the ABCs, phonics, letter sounds, letter recognition and much more. Another favorite is Harry Kindergarten. He is an actual classroom kindergarten teacher and stays up to date and current with the standards and music trends. He has some amazing and content-heavy songs that kinders love! 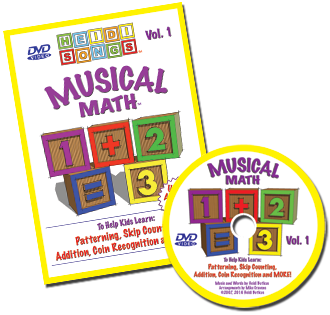 Harry Kindergarten Music is a hip way to introduce or practice various Kindergarten topics while using music to encourage students. The hip beats will keep children interested while the words and songs are about educational topics. This kids music channel is perfect for the Kindergarten classroom. 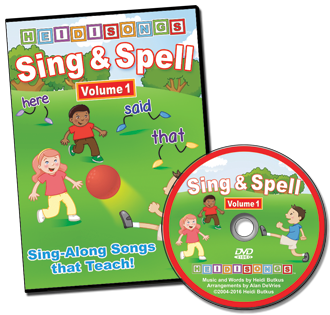 The songs are fun and exciting while helping children learn counting, numbers, reading and language skills, science, and even nursery rhymes. These songs also help to encourage physical fitness through dance and movement. The style of music ranges from pip and hip-hop to Latin, country and rock. Who doesn’t love Dr.jean? She is so much fun and full of energy and excellent ideas, including finger plays and simple songs. Dr. Jean has a variety of topics that are important for Kindergarten age children to learn including alphabet, sight words, and different categorizing topics. She uses fun song, topics and dances to encourage children to learn. I can honestly say that I use every single one of these artists/channels in my classroom. They are all alike in the fact that they combine music and movement, with education. But they all have their own style and even have some different topics they teach. Please step out of your comfort zone and use music and movement in the classroom to engage your students learning, I promise that it is worth it!! Your students will love it and so will you! If you are looking for a way to organize all of your favorite YouTube videos, check out this awesome post! I hadn’t heard the Heidi Songs ones and I’ll be checking them out! I love all those others too! I get right in there and sing with my kids….they love it and I do too! I do love being able to use it and I hear them singing…even when they are working through some things sometimes. I even have a playlist for working…it’s some instrumentals …I have another for when we do our centers…Music for transitions too! I’m a big believer in “music makes everything better. “. I can’t imagine not incorporating it into our day. My husband even burned a rock n roll cd for me with numbers in the lyrics. We use it each year on the 100th day of school for our dance party.